With the addition of the two new models R&S SMR50 and R&S SMR60, the Microwave Signal Generator R&S SMR family now covers the range from 10 MHz to 60 GHz while still providing an outstanding price/performance ratio. 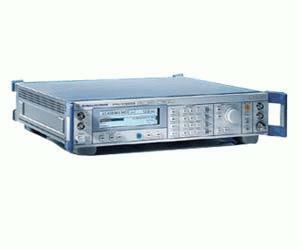 Its various options offer access to a wide field of applications in production and R&D, where the R&S SMR can be used as a synthesizer or complete signal generator. When equipped with the optional analog frequency and level sweep, the R&S SMR is an ideal tracking generator for scalar network analysis, and the internal IF upconverter allows the generation of vector-modulated signals up to 40 GHz.